Arbor Trace is located off of Vanderbilt Drive and is west of Interstate 75. 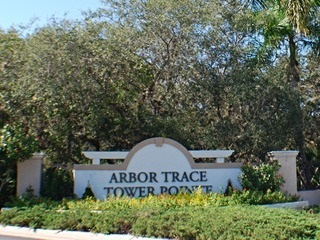 Arbor Trace is a 55 and older community that consists of 40 acres that offers high-rise, mid-rise and villa living. Many of the units have breathtaking views of the Gulf of Mexico. Units range from 1,600 to just over 2,300 square feet of living space. Arbor Trace is one of the few 100 percent equity deeded ownership communities that also offers full service retirement living.